LOOK NO FURTHER! 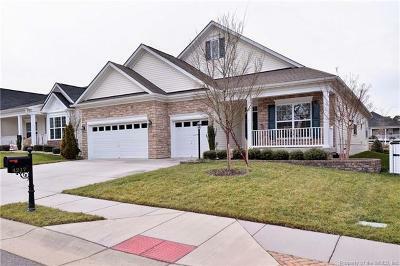 3 Car Garage RANCH in Active Adult 55+ Colonial Heritage. 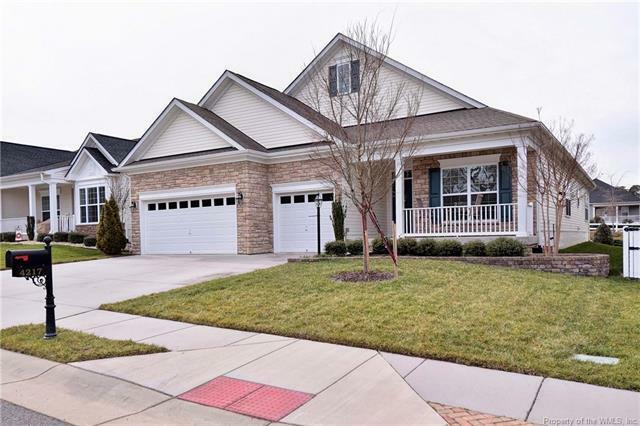 Gorgeous Christopher Wren Model has 3 Bedrooms and 3 Full Baths. Delightful sunny Great Room with hardwood floors and a gas fireplace is open to the Kitchen. The Dining Room can be casual or formal, and has hardwood floors and crown molding. Wide entry foyer has hardwoods, crown and recessed lighting. Gorgeous eat-in kitchen features hardwood floors, granite countertops, stainless appliances, breakfast bar, and pantry closet. Convenient gas cook top, wall oven & recessed lights. There are sliding doors to the patio. Spacious Master suite with walk-in closet, carpet & ceiling fan. There is also access to the patio. Private Master bath features a walk-in shower, garden tub, ceramic tile and double sink vanity. Bedroom 2 has a walk-in closet and carpet. Bedroom 3 has hardwood floors and would be a terrific home office. There is a nice storage room in the hall for all those extras. The 3 car garage is finished. Rocking chair front porch. Landscaped lot and underground irrigation system.